As usual, the Nazareth House Apostolate supporters, workers, and recipients; both children and adults, do what they do so well - and teamed up to demonstrate what LOVE is all about. It is always amazing to watch people come together to make things happen. People from one side of a country to another, from one side of an ocean to another, all walks of life, all capabilities... all blended together to hold each other up. Its all about love, and when love is truly orchestrating our actions - astonishingly wonderful things can happen. the Anglican Church Women of St. Augustine's Anglican Church in Chico, California were sending medications and extra funds for the work of Nazareth House in Kabala. And while they were doing that, down South in the Carolinas, The C.S. Lewis Center and St. Theodore's Anglican Chapel were Fasting for Africa as a fundraiser for the work of NHA. ...and all the while individuals and families are donating. 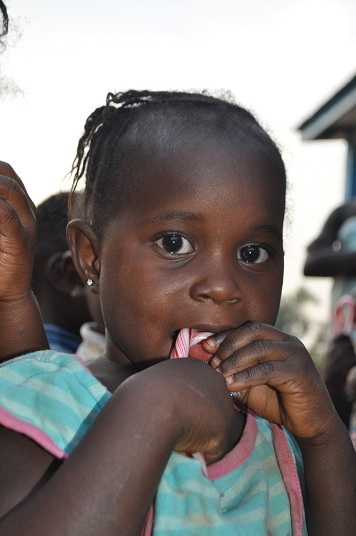 In Kabala, everything came in at the right time - money, necessities and Christmas Candy Canes. 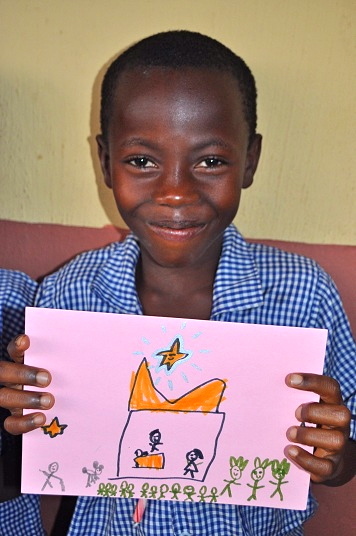 Once we, in America, ship over to James in Kabala, then its time for them to what they do so well - distribute to those in need. 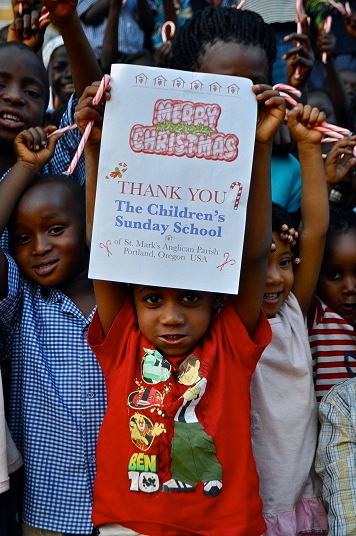 And with love and the same abundant zeal that began in USA... the work is done. 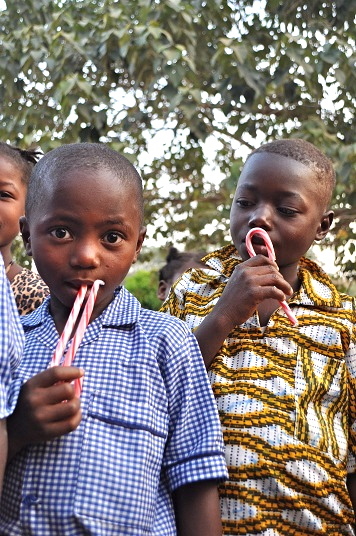 By the time the candy canes had arrived, the NHA School had already closed for the Christmas Vacation - (yes, in Sierra Leone it is still called Christmas Vacation and not Winter Vacation). No problem!, James knew exactly what to do. He thought of the Blind School. they are a gift for many of the senses -and with someone to help you remove the wrapper its even better. and headed out to the School for the Blind. He was also equipped with the means (from donations) to provide needs depending on their necessity to those at the Blind School. you'll notice it is ROO. Another bit of team work accomplished, Roo was critically anemic just last month, however, fast action sending vitamins and IRON from our headquarters in Kentucky has proved effective and we see that energetic smiling Roo once again. TEAM NAZARETH has managed to spread the love again. we give you love - lots of it - from all of us at NHA.